Do you have a problem with light and heat filtering in through your windows? Maybe you work at night and need your room dark during the day when you sleep. Either way, having the best blackout curtains available can help. Not only can they block heat and light, but they can also block noise if you purchase the correct ones. However, we know how overwhelming it can be to find the best room darkening curtains, and this is why we’ve picked out our top 10 picks and reviewed them. 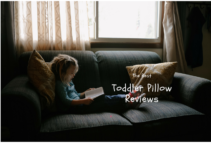 These comprehensive reviews will tell you everything you need to know at a glance, and they’re an easy way to compare them. Before we get into the reviews, we’re going to go over a few important points that you should keep in mind when you shop. 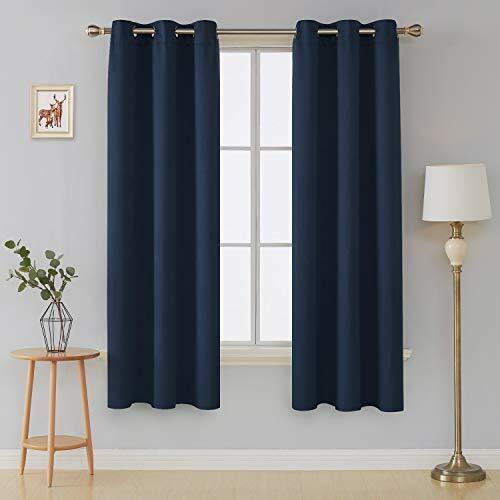 This will help to ensure that you find the best blackout curtains possible and that they can do everything you need them to do from day one. Our buyer’s guide will tell you exactly what to search for when you’re looking at a selection of the best room darkening curtains available. Blackout curtains are great for anyone who has a problem regulating the temperature of their home during the winter and summer months. 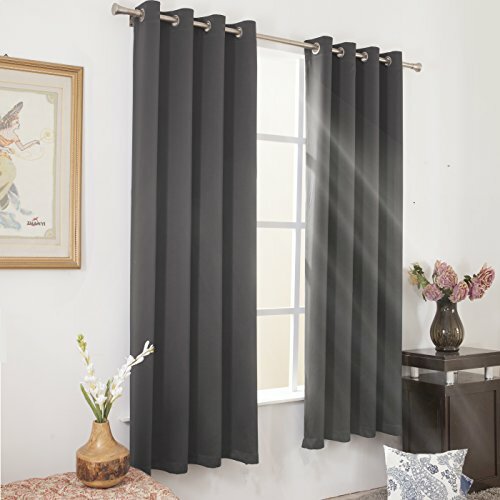 Blackout curtains can prevent sunlight and heat from streaming in during the hotter months, and they can also protect your furniture from fading. During the winter, they can seal energy and heat in by forming a barrier between your windows and the rest of your home. The curtain’s color usually plays a direct role in how well they block out the light. Lighter colors usually don’t do as good of a job as darker colors. If you can, try to pick black or dark brown curtains to maximize your light-blocking effect. If not, be prepared to have a shade behind them. You want your new curtains to last, and durability is going to play a large role in how long you can use them for before you have to replace them. Look for things like double stitching around the hems, metal grommets where the curtains slide over the rod, and no loose threads or runs in the fabric. This will help them withstand normal wear and tear very well. You want polyester with a triple weave if possible. This helps to ensure that the curtains are lightweight enough that your curtain rod can support them, but they won’t have an issue blocking the light or heat. 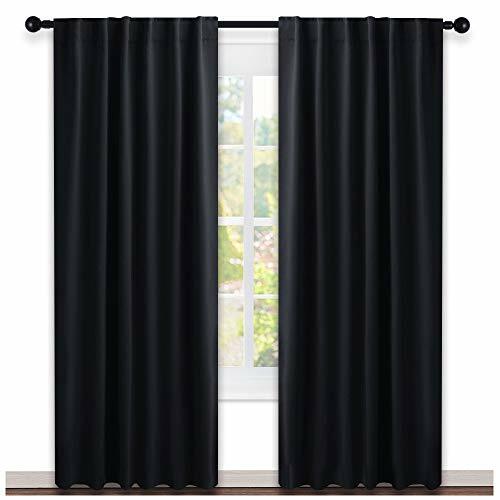 You typically get one or two panels each time you order these blackout curtains. It’s essential that you measure your window’s length and width and compare your measurements to the panels. You want to make sure that your curtains will fit in your window without leaving any cracks or gaps for the light and heat to filter through. 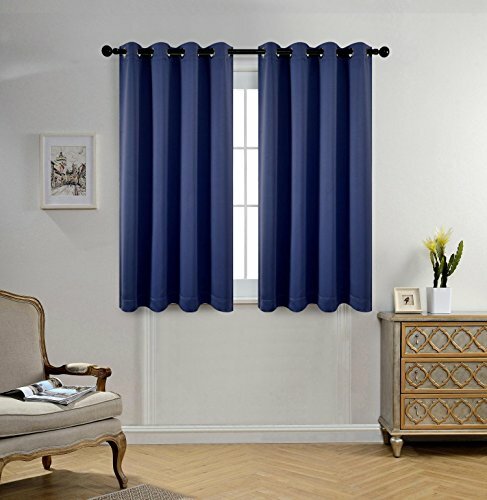 Nicetown’s best blackout curtains come in seven different lengths and 17 different colors. This includes black and taupe and white and taupe. The elegant design features ripples, and you get two large panels per order. These curtains have an 85 to 90-percent efficient rate for blocking out the light. These curtains also double as thermal curtains that can help to save on energy costs. They’re very easy to care for because you can toss them into your washing machine and dryer. They’re designed to be very soft to the touch and lightweight. The top features durable grommets to prevent tearing. Deconovo’s curtains come in 20 different solid colors and three different widths to ensure you get a great fit. Each panel comes with six silver grommets to help protect the curtain from wear and tear as you pull them open and closed. These room darkening curtains double as thermal curtains that help to trap and hold heat into your home for energy savings. They come designed to be silky and soft to the touch. Also, you can toss them into your washing machine and dry on low heat to keep them looking clean and new. You can pick from 18 different colors and three different sizes when you purchase these curtains from Miuco. You also get two matching black tiebacks that can help you keep your curtains in one spot when you don’t want them closed. They’re rated to filter out 60-percent of the noise, 98-percent sunlight, 100-percent UV, and they can reduce your electricity bill by 30-percent. They’re designed to keep your room cool by reflecting the heat out during the day. You’ll also get metal grommets through the top of the curtains that help to prevent wear and tear. H.Versailtex has white blackout curtains come with faux linen and interwoven construction to effectively block the light. You get two panels in every order, and you can pick from five different lengths. Additionally, you can pick white blackout curtains or from 19 different colors ranging from light to black. 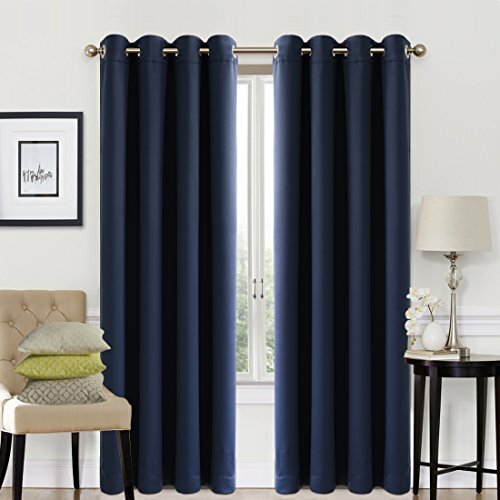 The tops of the curtains feature metal grommets for a classic and elegant look that protects against damage. 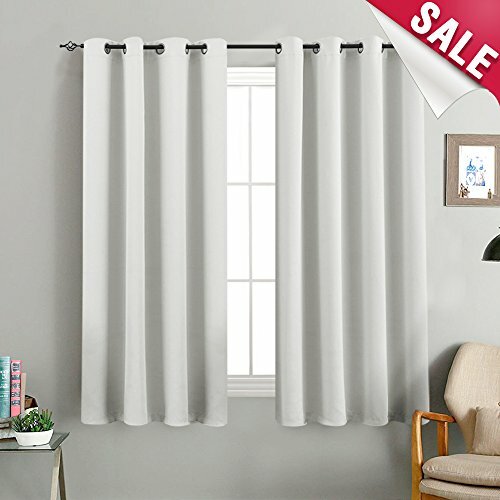 Each purchase of these white blackout curtains comes with an eight-year warranty and a 30-day money-back guarantee. You’re able to toss them into your washer and dryer to keep them clean. These best room darkening curtains come made out of 100-percent polyester. You get two panels in each order, and you can choose between five sizes. They also come in 19 different solid colors ranging from white to black to a more neutral beige and pastels. You’ll get a triple weave that effectively blocks the light. These curtains also double as thermal insulators that help keep heat out in summer and hold heat in during the winter months. They’re machine washable, and you’re able to dry them on tumble dry without a problem. Wontex’s blackout curtains also feature double stitching on the hems for added durability. 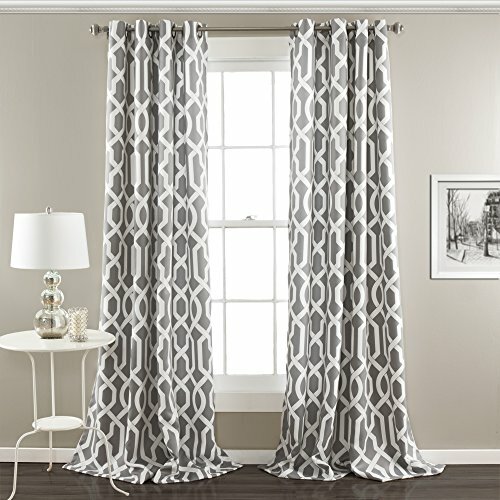 These stylish curtains from Lush Decor feature a classic trellis pattern with either a soft compliment color or black. They’re made with 100-percent polyester to make them lightweight and durable. These curtains are designed to filter out a portion of the heat and light, but they do let a little light through. They’re safe to toss in your washing machine on cold and dry on low heat when you need to wash them. You get two panels in every order, and they come in seven different sizes. This includes a valance as well. They have metal grommets to protect the curtain from wear and tear. 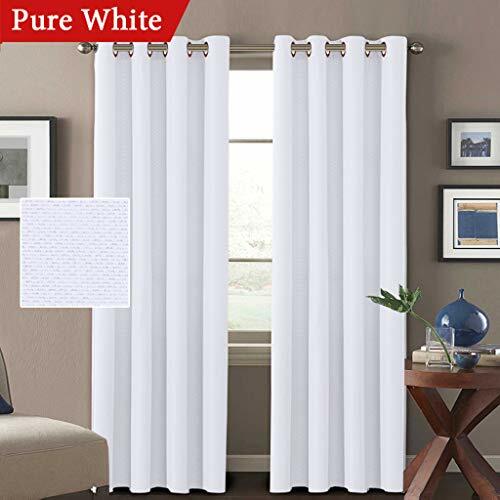 These curtains come with triple weave fabric that is designed to reduce light while keeping the colors the same on both sides of the curtains. They can block up to 85-percent of the light, and they can also protect against energy loss. These curtains are resistant to dust as well. 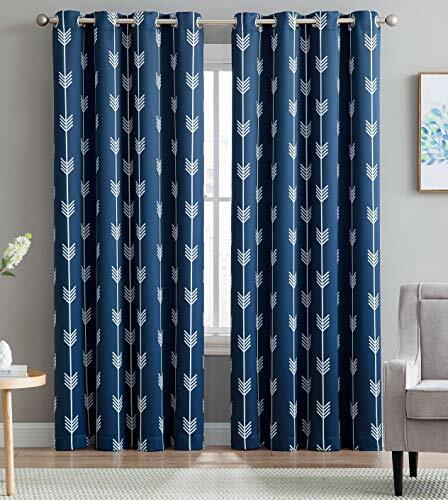 There is no chemical coating on these curtains, and they feature an eco-friendly design. You can pick from 14 different colors, and each curtain feels soft and silky to the touch. They’re available in three different sizes that allow you to get a good fit for taller windows. These curtains come with a mix of triple weave and ultraviolet fabric technology to effectively block up to 99-percent of the light. 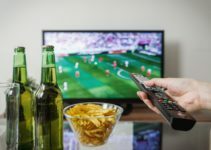 They also protect against energy loss, keep your home cooler in the summer, and work to block the outside noise from filtering into your home. You get eight grommets that will quickly and easily slip over most standard curtain rods. The curtains are made with 100-percent polyester material that is lightweight but durable. 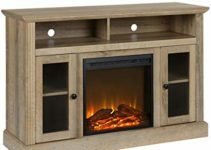 The two panels come in nine different colors and three different sizes that allow you to fit your current decor. These curtains come with a heavier fabric that has a soft feel and chic look. 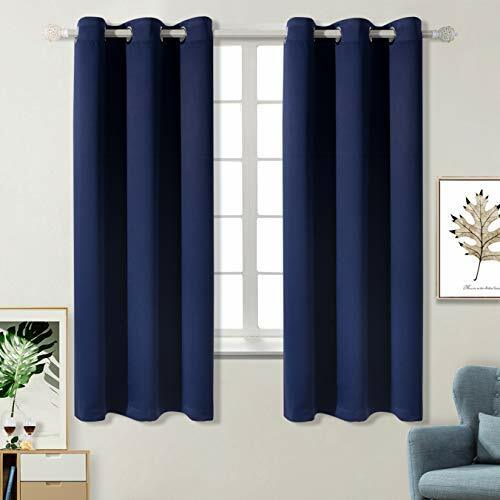 You get two blackout curtain panels with each order, and you can also pick just one extra-wide panel if that suits your needs better. You can choose from two different patterns and several different colors. The triple weave technology ensures that the minimal amount of light gets through these curtains, and they can also reduce your energy bill by 30-percent. They’re also able to block incoming and outgoing sound. Finally, you can wash these curtains on cold and tumble dry them to keep them clean. The microfiber blackout fabric combined with the triple weave technology ensures that you’ll get a smooth feel with an excellent drape. Each order gives you two panels and two tiebacks that help to keep the curtains in place when you have them open. They’re designed to block between 85 and 99-percent of the light when you have them closed. You get seven different size options and 23 different colors ranging from white or beige to black. These curtains are also thermally insulated, and this means that they help to hold in heat during the winter months and keep your home cool during summer.